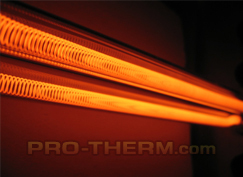 Protherm, LLC has joined forces with Fannon Products, LLC who manufactures over 1000 different high quality and fairly priced quartz infrared lamps. 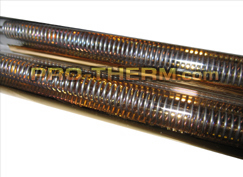 We have the ability to install their quality medium-wave and short-wave quartz tubes in heaters and ovens of various sizes and shapes. All of these quartz tubes can be made in virtually any length, wattage, voltage and with a variety of end terminations. Fannon uses a “tube in tube” design with an integral gold reflector know as the “Goldenrod” that directs the infrared energy where it is needed. Fannon Products, LLC will manufacture standard infrared lamps in any length, wattage and voltage for new applications or for replacement lamps for any existing equipment. Our quality is the best, and our pricing and delivery cannot be beat! 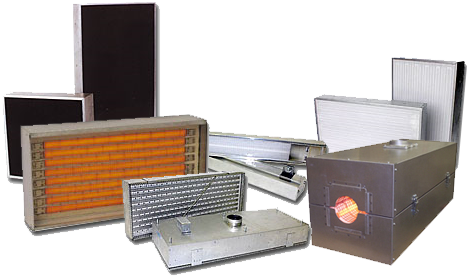 In applications where medium-wave infrared is required and the thermal response of the lamp is critical, Fannon Products, LLC manufactures Fast Response Medium-Wave Infrared Lamps. These lamps are available as standard or with a gold reflector, and can be made in virtually any length, wattage and voltage. Fannon Products, LLC offers a medium-wave Infrared lamp that is Instant ON/OFF. This lamp is currently available in a 17.25” heated length (19.75” OAL) and a 21” heated length (23.75” OAL). Custom sizes are also available. Fannon Products, LLC sells standard short-wave infrared lamps for new applications or for replacement lamps for any existing equipment. Available heated lengths are 5”, 8”, 10”, 16”, 25”, 38”, and 58”. Custom sizes, wattage and voltages are available. Our quality is the best, and our pricing and delivery are hard to beat!